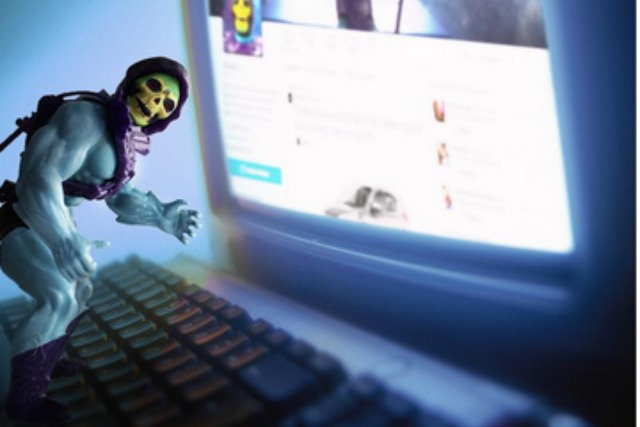 The Mattel character has, at the time of writing, been tweeting under the #skeletakeover hashtag for around two hours, cannily including popular hashtags such as #CyberMonday. The Honda Twitter account now features a Skeletor avatar and background photo, and the character is furiously tweeting high-profile brands such as Samsung and even People magazine. Naturally, Skeletor is also tweeting about his arch-enemy He-Man. Although some tweeters appear to think the hack is genuine, it's worth noting that Skeletor is one of several iconic kids' characters featuring in Honda's Christmas ads, along with Stretch Armstrong, Gumby and Jem. The nostalgic campaign references the joy of receiving one of the toys for Christmas.